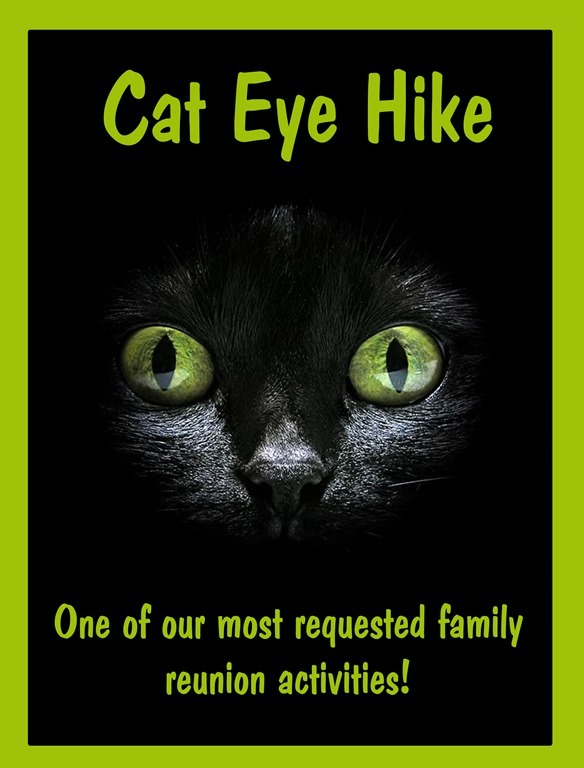 This entry was posted in camping, Family Fun, Family Reunion Fun, Family Reunion Games, Family Reunion Ideas, Games, Parties, Party Fun, party games, Party Ideas, Planning a Family Reunion and tagged cat eye hike, cateye hike. flashlight games, family reunion, family reunion themes. family reunion ideas, flashlight hike, large group games, night games, party games, reflective tape. trail tacks by Aunt Mo. Bookmark the permalink.